A storm front rolled in Wednesday night bringing a little more rain to the area and with that warmer temperatures so despite the wet weather I headed off to work on the Trek. Right off the bat the first thing I noticed was riding the Trek was a lot like riding the Burley. 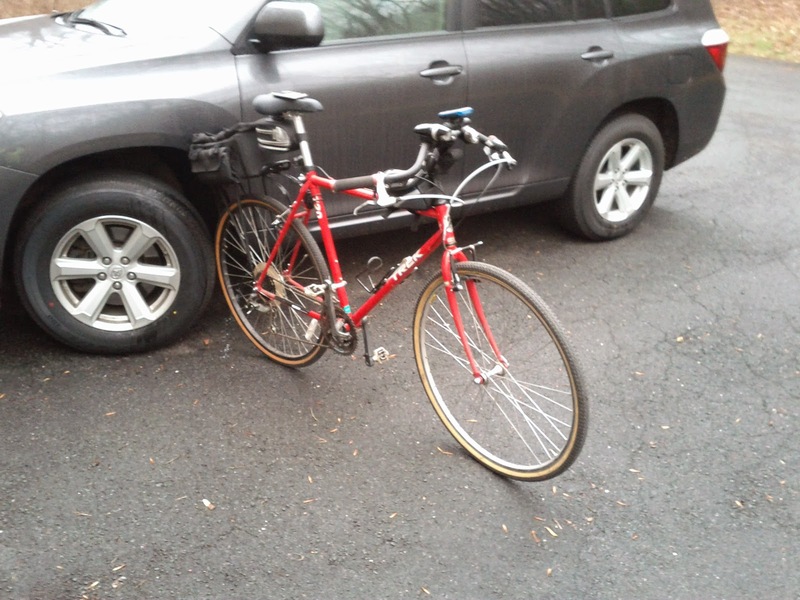 The similarity in both bikes is that they are both smaller frames and to compensate I have to raise the seat and the bars to find a comfortable position to ride. Regardless of the size issue, it's a really smooth ride, hence the saying "Steel is Real!" The Fme bars are actually a nice compliment. 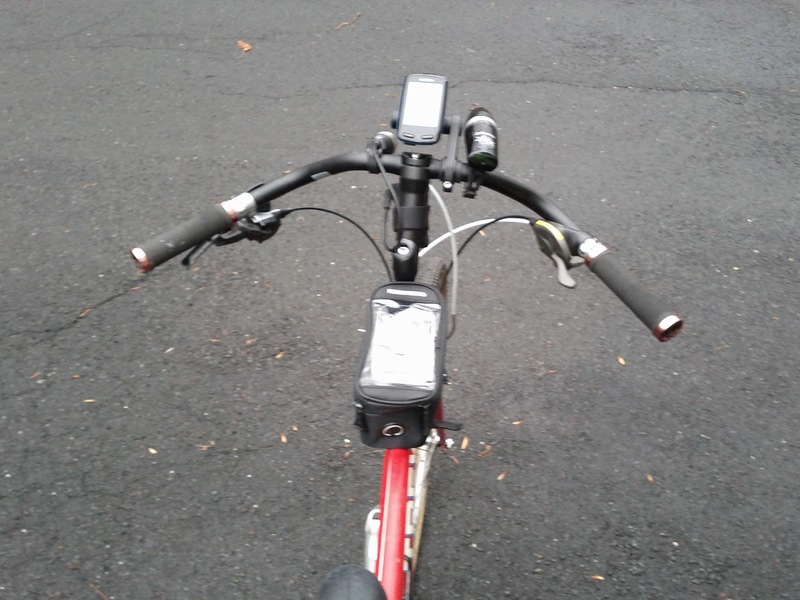 The having two different shifters, though, is interesting. 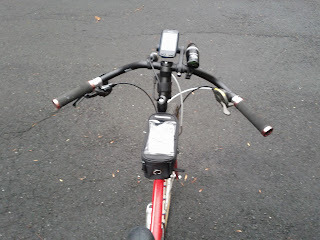 I did try out the granny gear when I rode up Papoose Hill and the LX shifter shifts like a Shimano LX Shifter. However, the starboard side shifter, while Shimano, is really like a SRAM X-n shifter where up and down the gears is controlled by just the thumb. I am going to try a different sized stem and play around with the seat and bar height but overall, this bike is definitely a keeper. Also, I have to replace the front wheel but I think Jolly Old Saint Nick will be bringing me a new wheelset for the Cannondale which means I can transfer that wheelset to the this bike!